December 23, 2013. PRAVMIR. Archpriest Vsevolod Chaplin, Chairman of the Moscow Patriarchate’s Department for Church and Society, presented the Order of “Glory and Honor,” First Class, to Galina Alentyeva, widow of the well-known public and religious figure, Waliullah Yakupov, who died at the hands of terrorists on July 19, 2012. Waliullah Yakupov was posthumously awarded the Order by His Holiness, Patriarch Kirill of Moscow and All Russia, in 2012, according to the website of the Moscow Patriarchate. The presentation of the Order took place as part of a roundtable on the topic “Whence the Threat to Orthodoxy in Tatarstan?” organized by the Human Rights Center of the World Russian People’s Council in the conference hall of the Danilovskaya Hotel in Moscow. Fr. Vsevolod remarked in his speech that His Holiness, Patriarch Kirill, had the deepest respect for Waliullah Yakupov and wishes his widow peace and prosperity. Fr. Vsevolod also thanked all the leaders of traditional Islam that advocate and defend its inherent values, regardless of threats from religious extremists. On behalf of the Primate of the Russian Church, Galina Alentyeva was awarded material assistance. Waliullah Hazrat Yakupov was a Russian religious and social figure, preacher, and scholar of Islam. 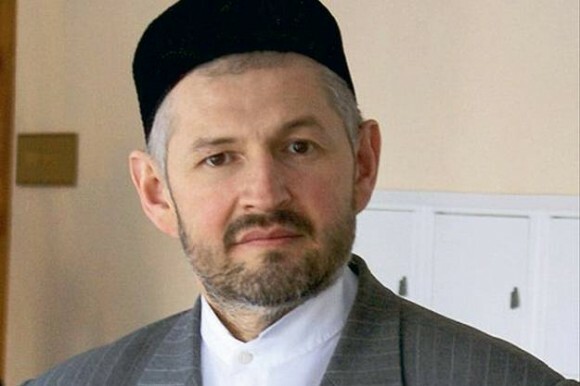 From 2008 to 2011, he was the First Vice Chairman of the Muslim Religious Board of Tatarstan. He was the Chief Editor of the journals Muslim World [Musul’manskii mip] and Iman Nura. He was well known for his scholarly work in the field of religious extremism and the history of Islam. On July 19, 2012, he was mortally wounded outside his home in Kazan by six shots, dying on the spot.